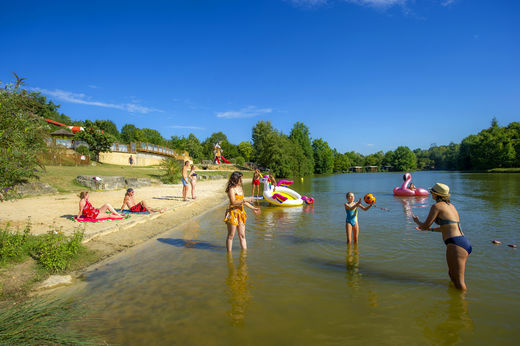 Camping Le Moulinal is located 50 km south of Sarlat and the vineyards of Bergerac, near the Château de Biron and the medieval town of Bergerac. 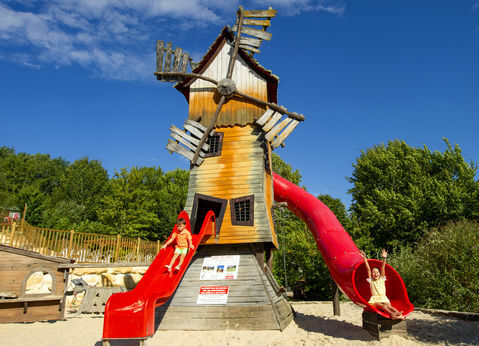 The campsite offers mobil homes, chalets, furnished tents and camping pitches. 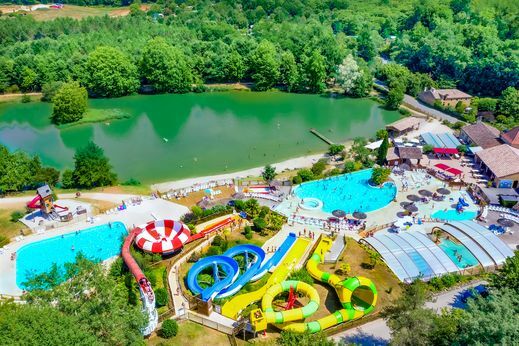 The aquatic center includes 1 outdoor pool, 1 indoor heated swimming pool, 1 wading pool with a slide for the younger children, 2 slides for the older ones, 1 sensational Spacebowl, 1 Crazy Cone and a pond surrounded by a beautiful beach (swimming and fishing allowed). This area has a rich history: medieval walled towns of Bergerac, Monflanquin Villeréal and the castles of Biron, Gavaudun and Bonaguil. 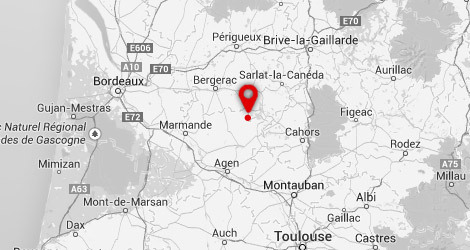 Not to mention the famous prehistoric sites such as Lascaux, Les Eyzies, Sarlat and Domme within 60 km. Many surrounding trails invite you to beautiful hiking and biking from the campsite. Finally it is a region with famous cuisine and vineyards. Farinax was the baker in Carabouille’s world. Farinax had a secret trick for his baking. He would get such fine flour from his mill that his ‘baguette’ had a fine, light and unique flavour. So. We would feel lighter and instantly happier after eating one of Farinax’s baguette. 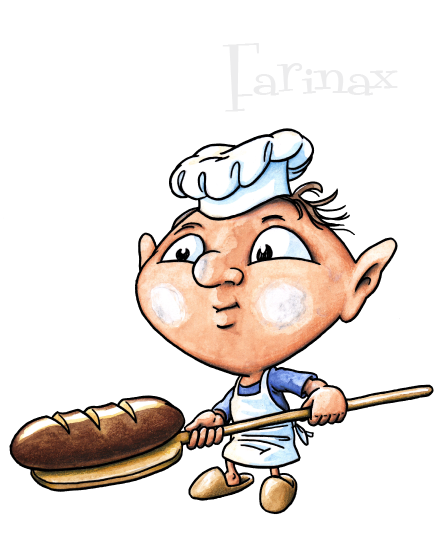 To get such fine flour, Farinax would mill his wheat again and again, so much so that it took a whole year of milling sometimes to get enough flour for just one baguette. On the day of the baguette, the locals from Bironax would gather and share the baguette and the precious moment. One day, Farinax went to get a faster mill. Did he find it? No-one knows. And you ? Will you be able to operate the mill at Bironax ? A magnificent view of this campsite in the middle of the countryside for the pleasure of the eyes, and holiday memories!